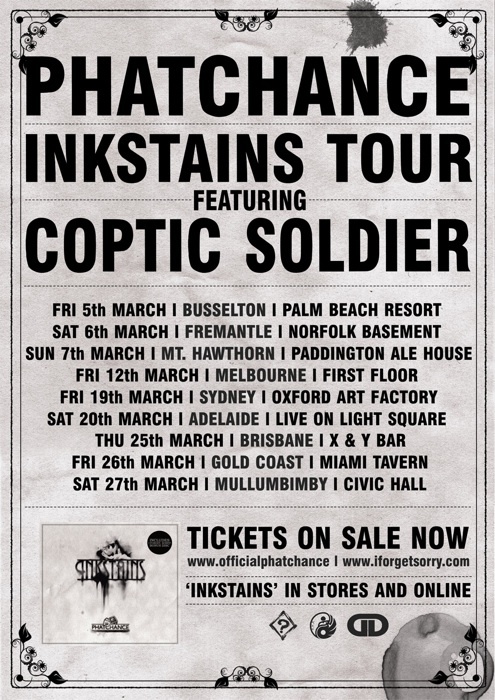 Sydney sider Phatchance is set to tour most of the country over March 2010 with Coptic Soldier, starting in Busselton, WA and ending in Mullumbimby, NSW. Some of the shows are free, some are going to cost you a pittance; either way i think you should be in attendance. Obviously this isn’t everyones kind of hip-hop, but if you’re into Phatchance do the lad a favour and be there. 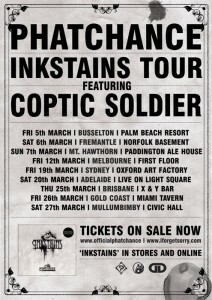 More details are available at www.officialphatchance.com or www.iforgetsorry.com or click through and read more.